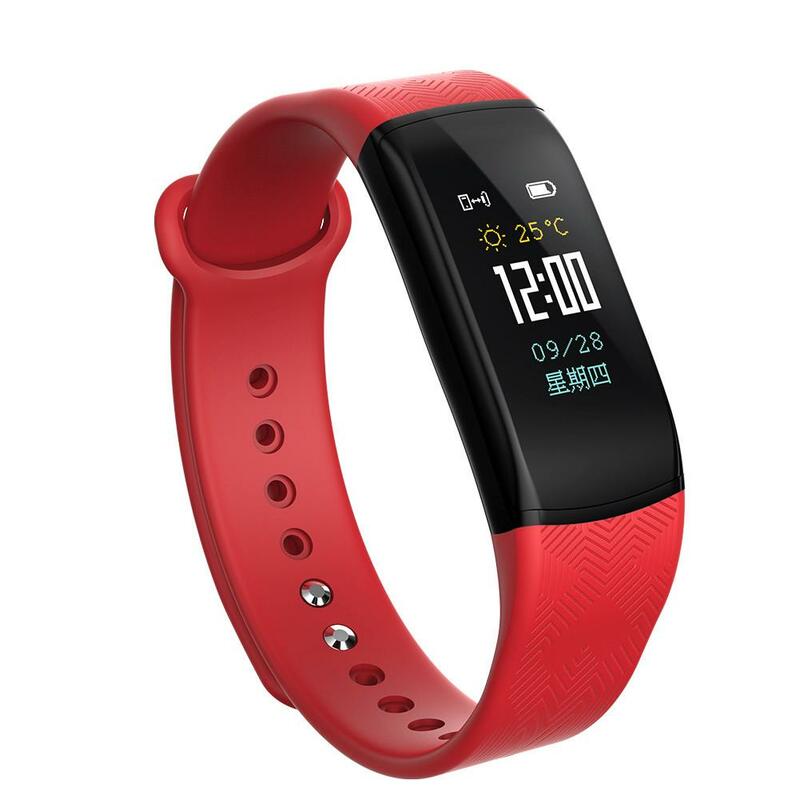 Time display, power icon display, date display, weekday display, Thermometer, weather display (China). 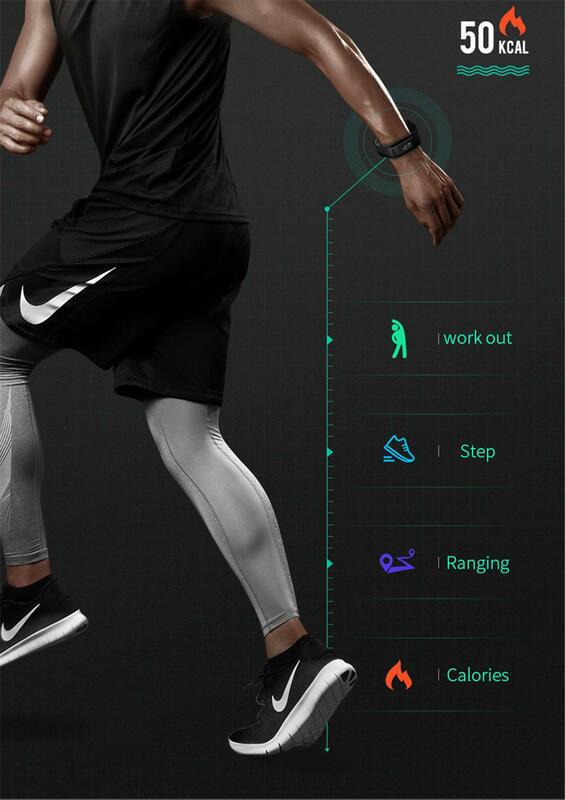 Standard sport functions (step, distance, calories). 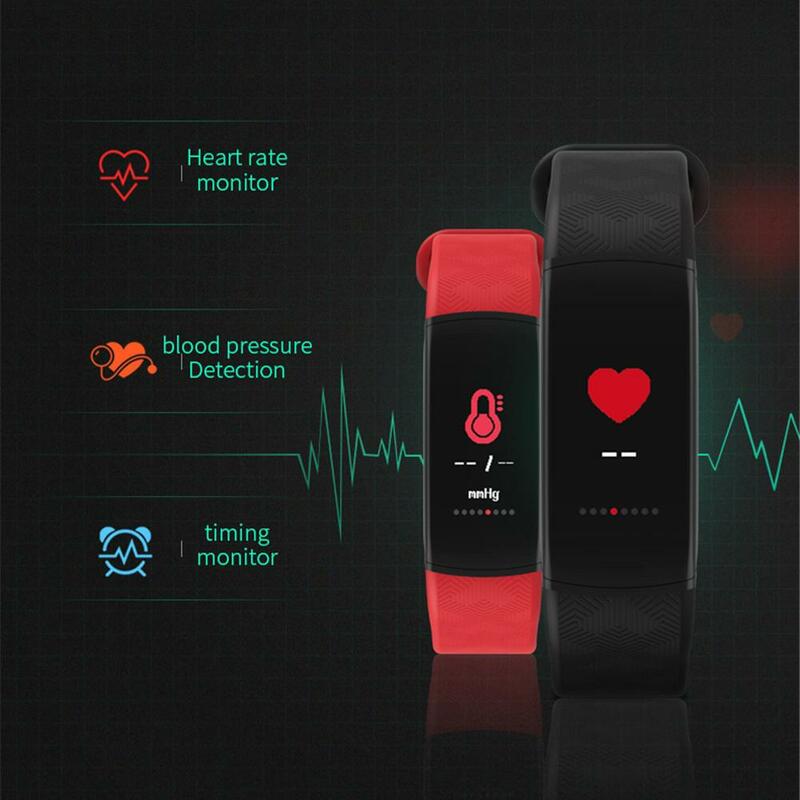 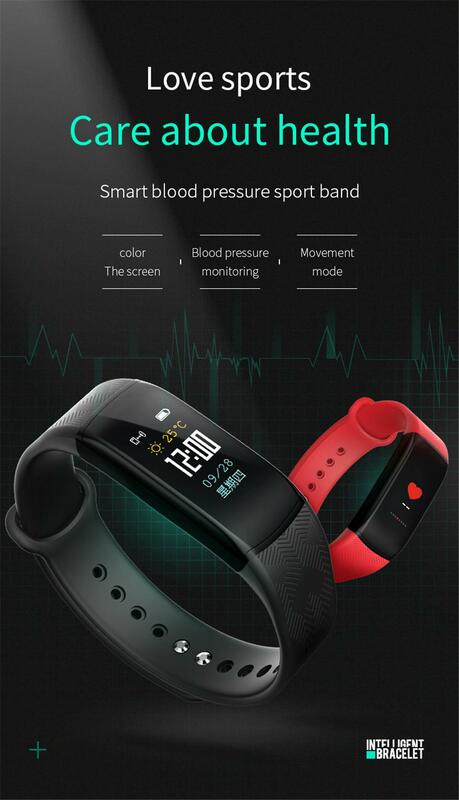 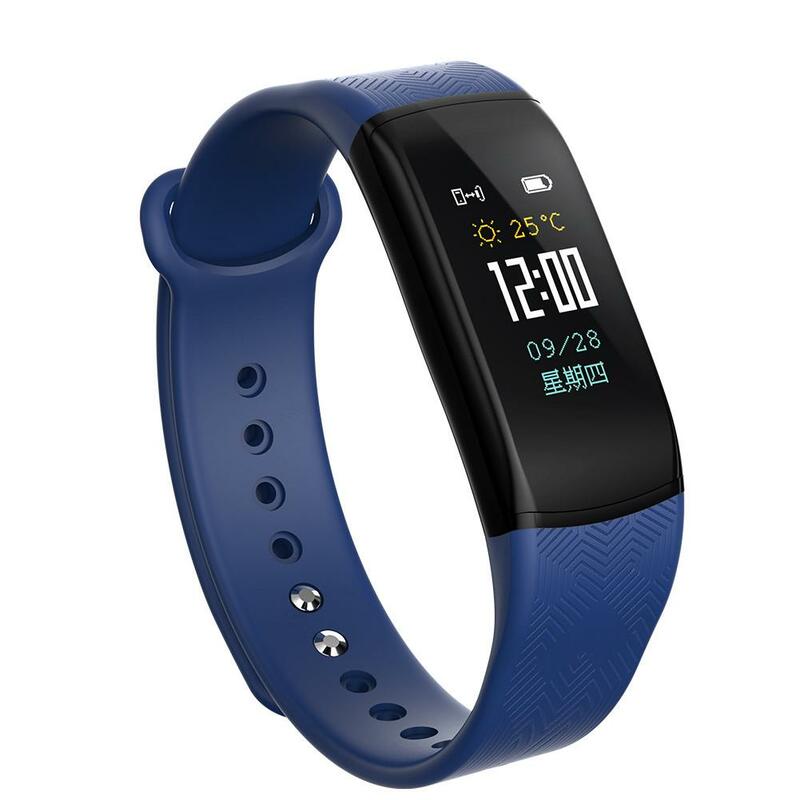 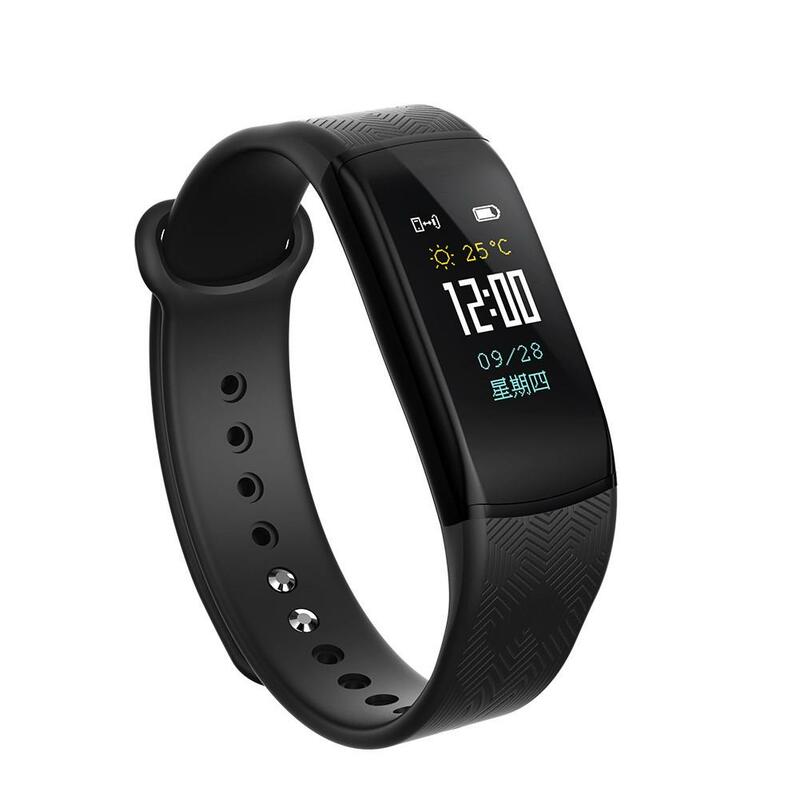 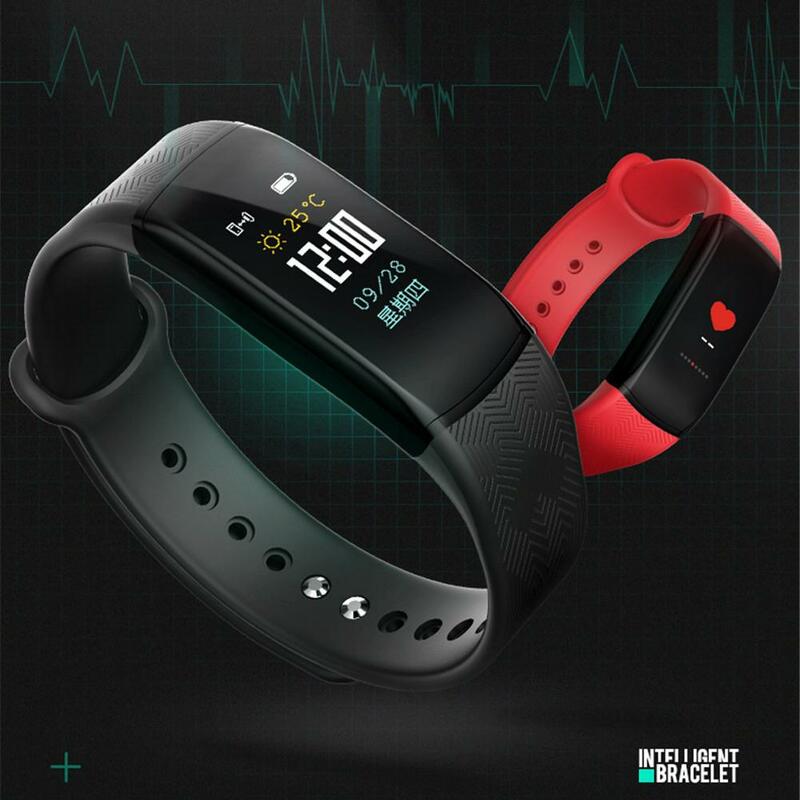 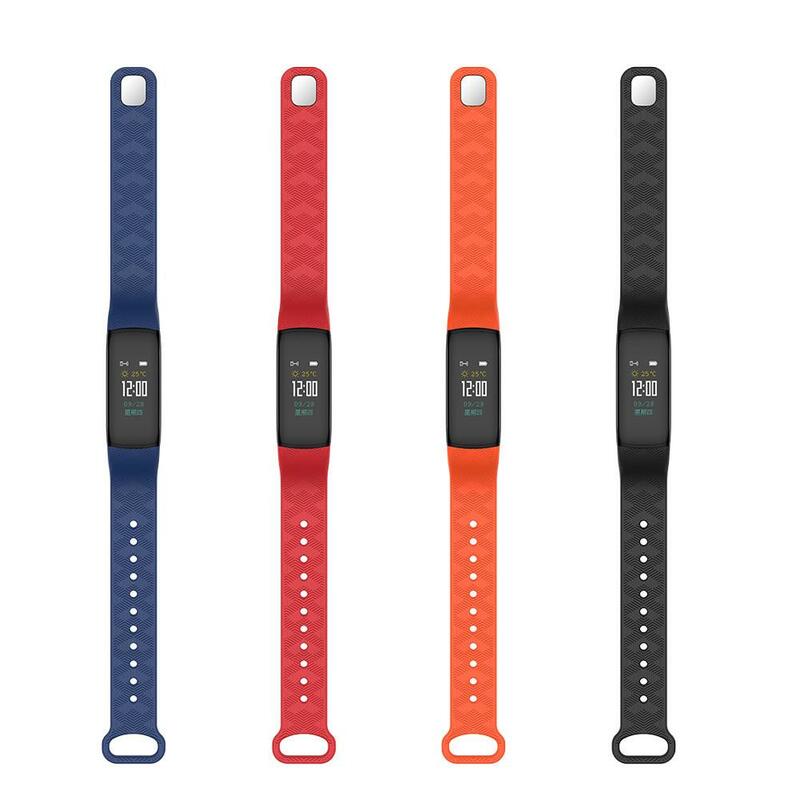 Health check function: Heart rate, blood pressure test, sedentary reminder. 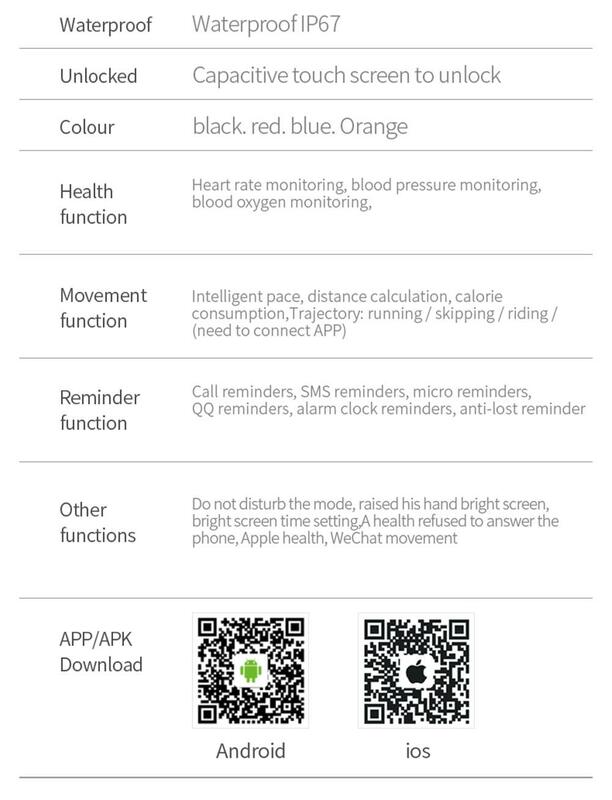 Find the phone, skipping mode, riding mode, shutdown. 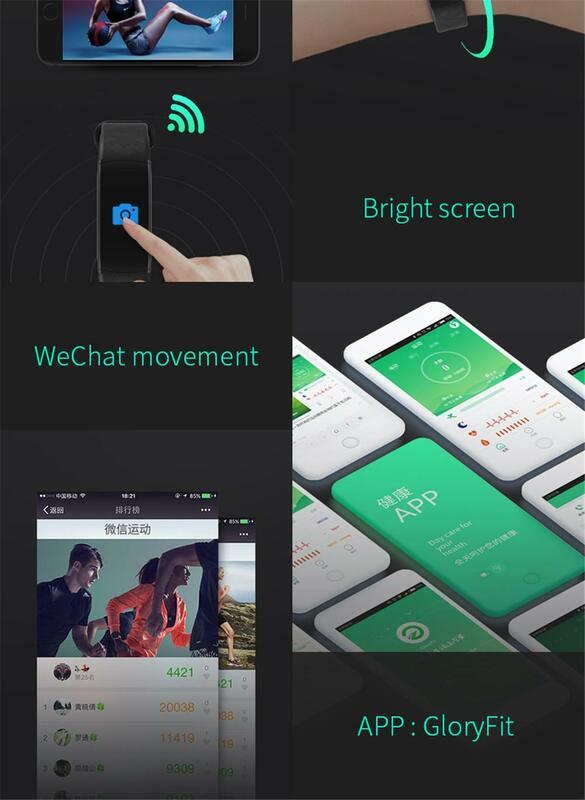 Calls, SMS, QQ, WeChat alerts (a total of 8 message records are saved). 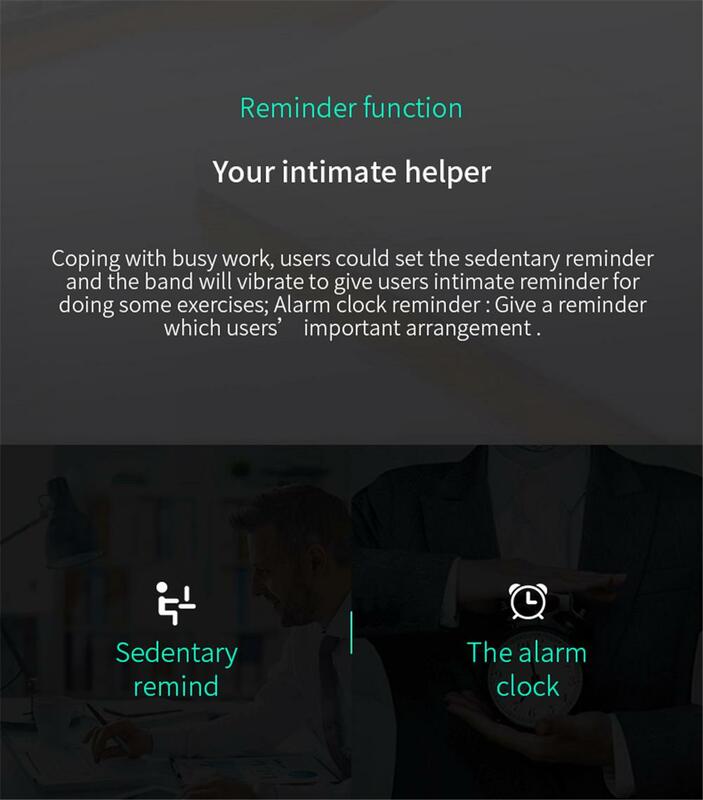 Facebook, Whatsapp, Twitter, Skype, Line and other reminders, Alarm clock reminder. 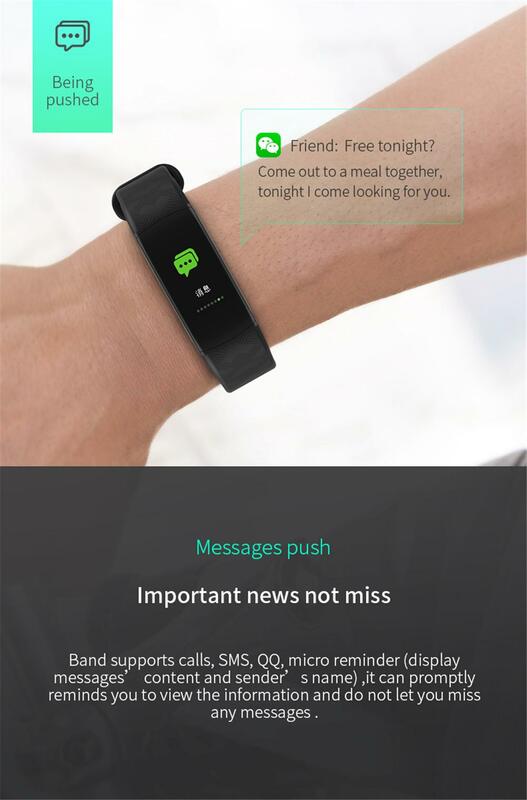 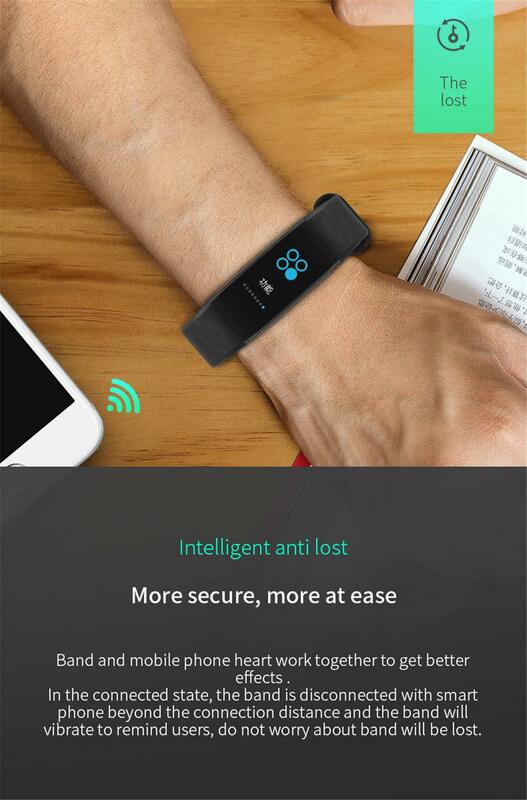 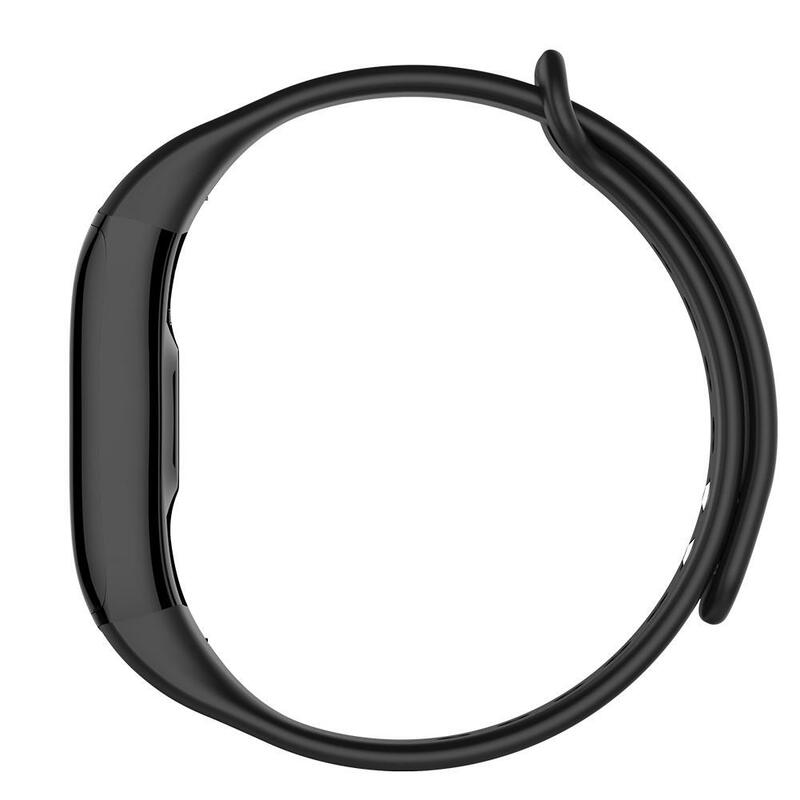 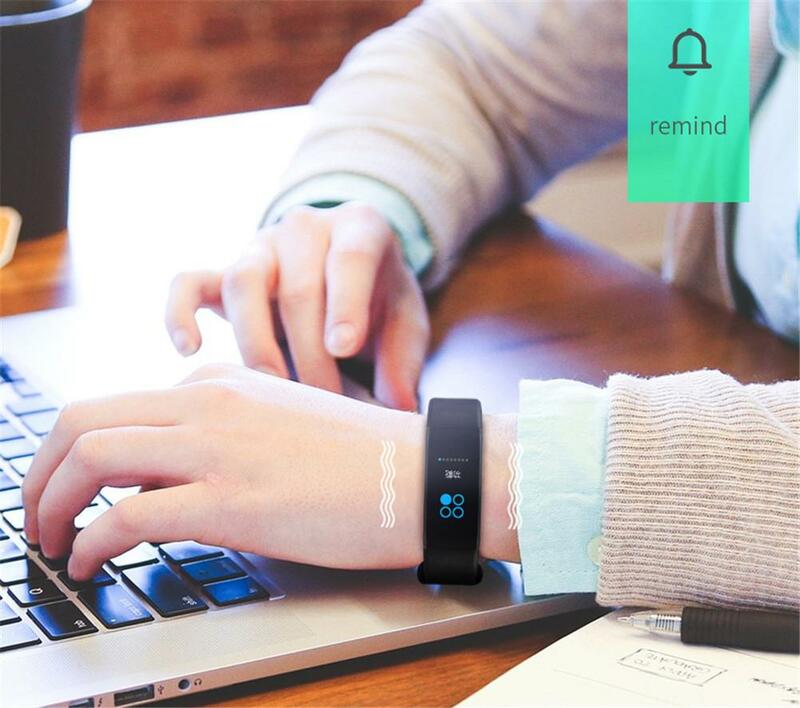 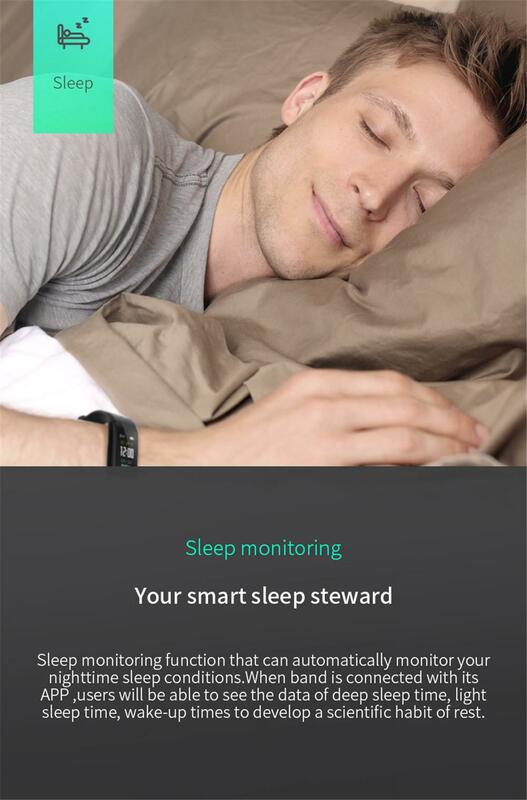 Intelligent anti-lost: Find the bracelet, disconnect the reminder. 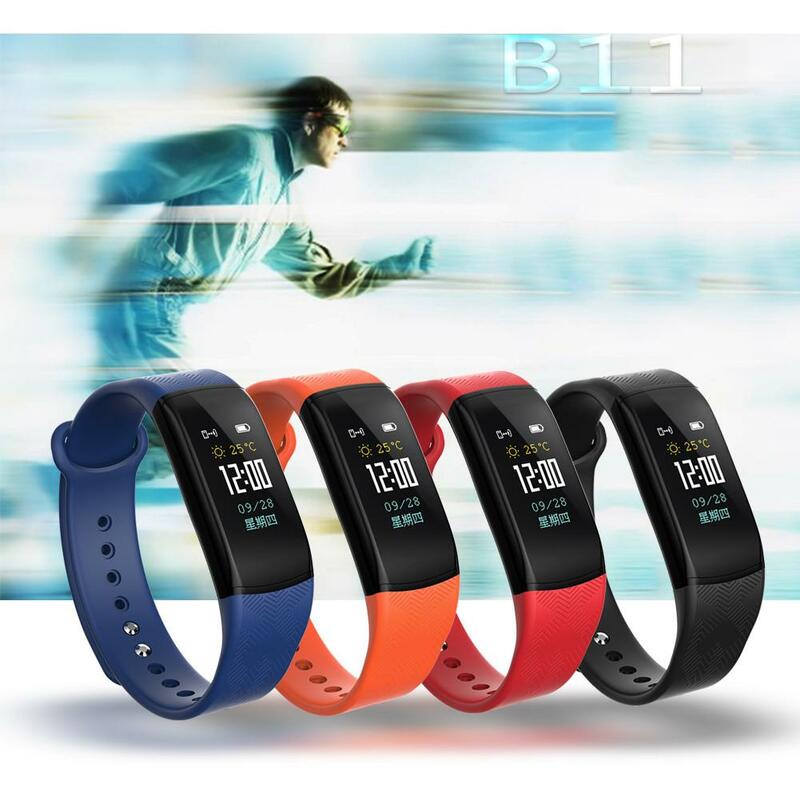 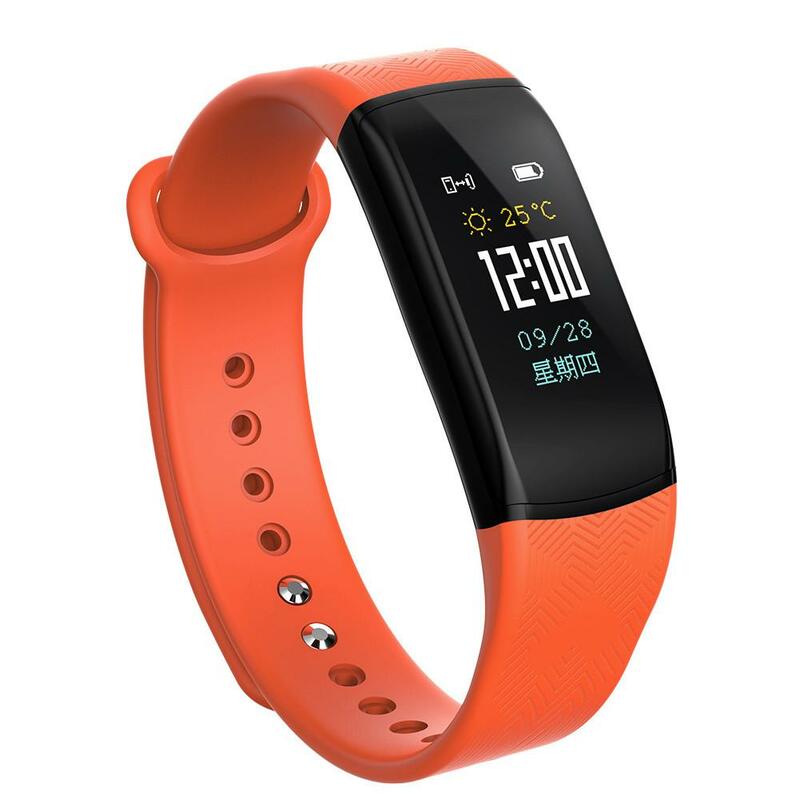 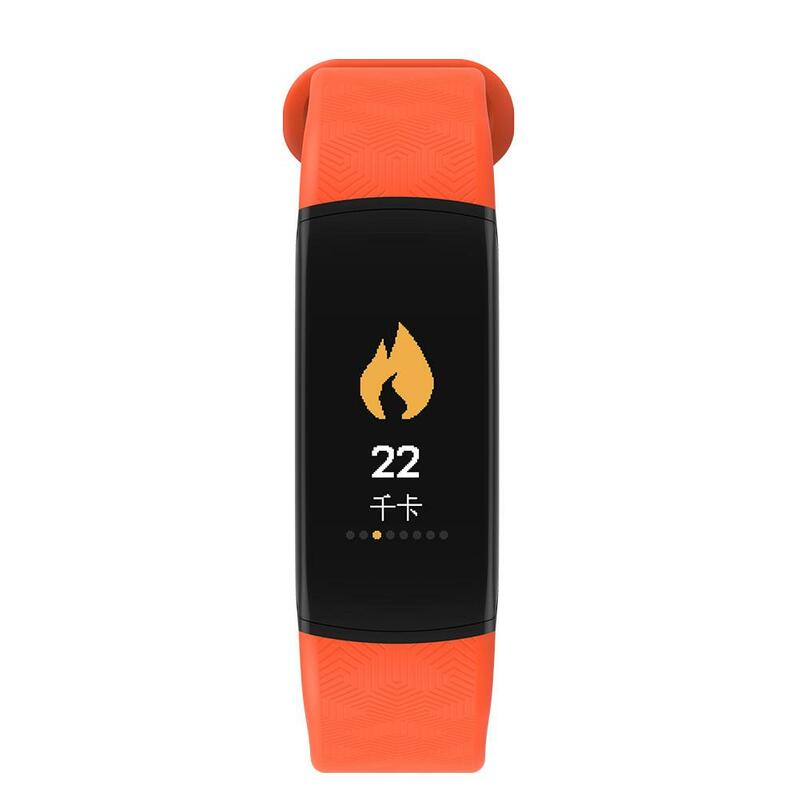 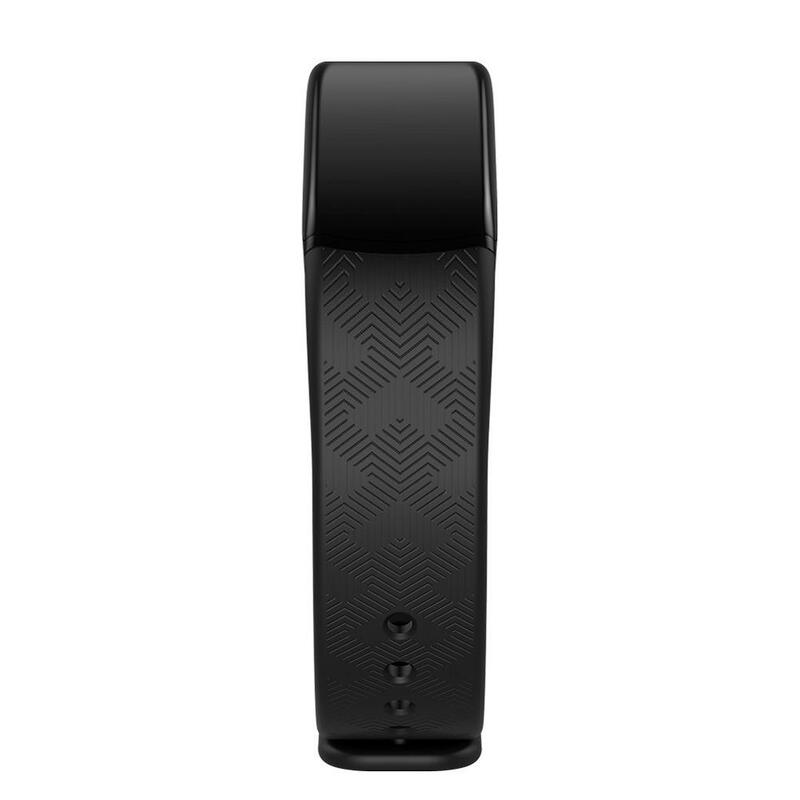 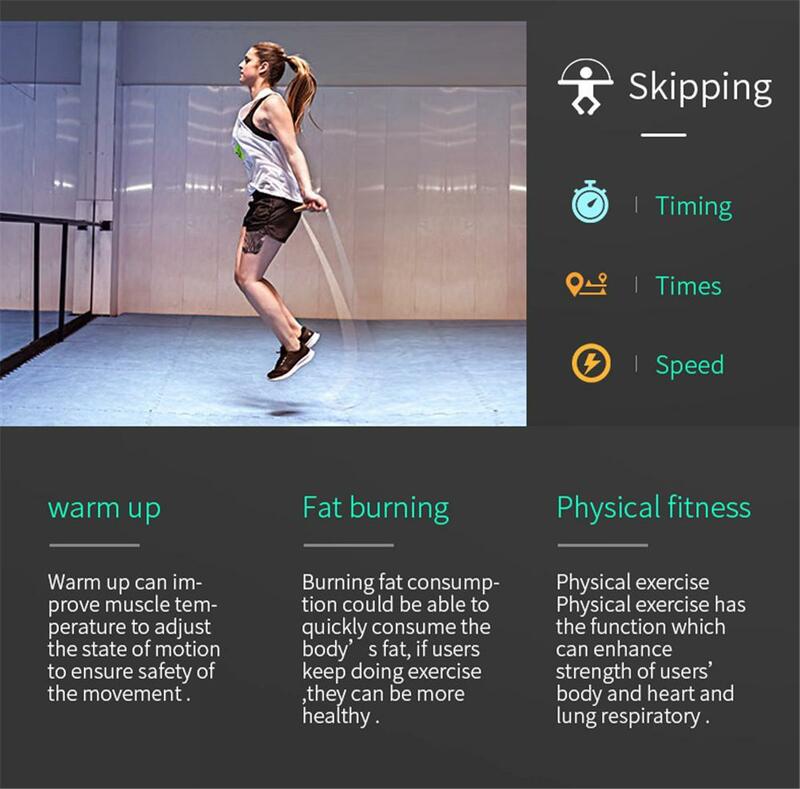 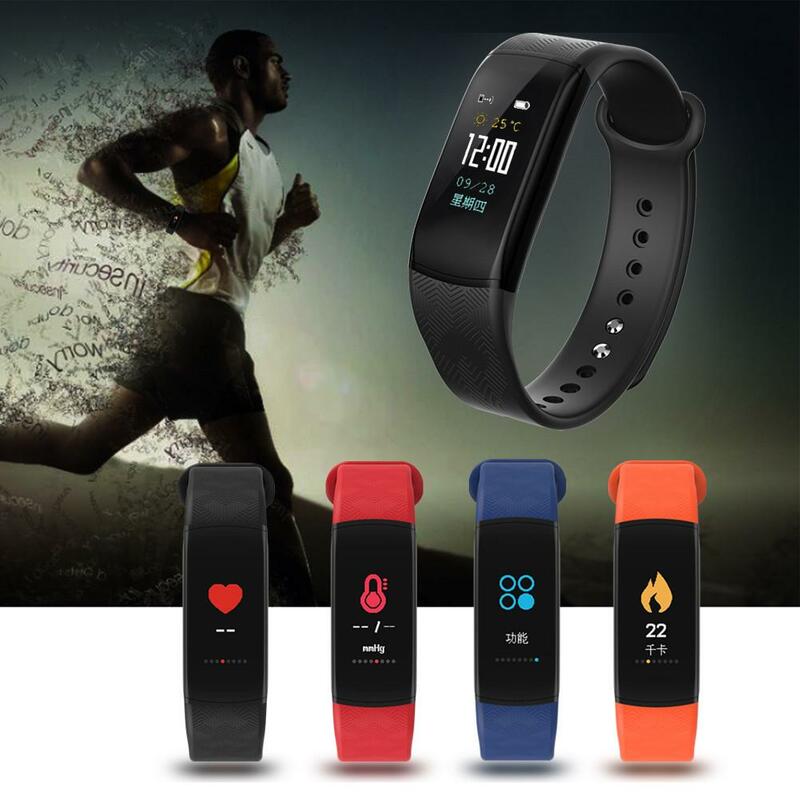 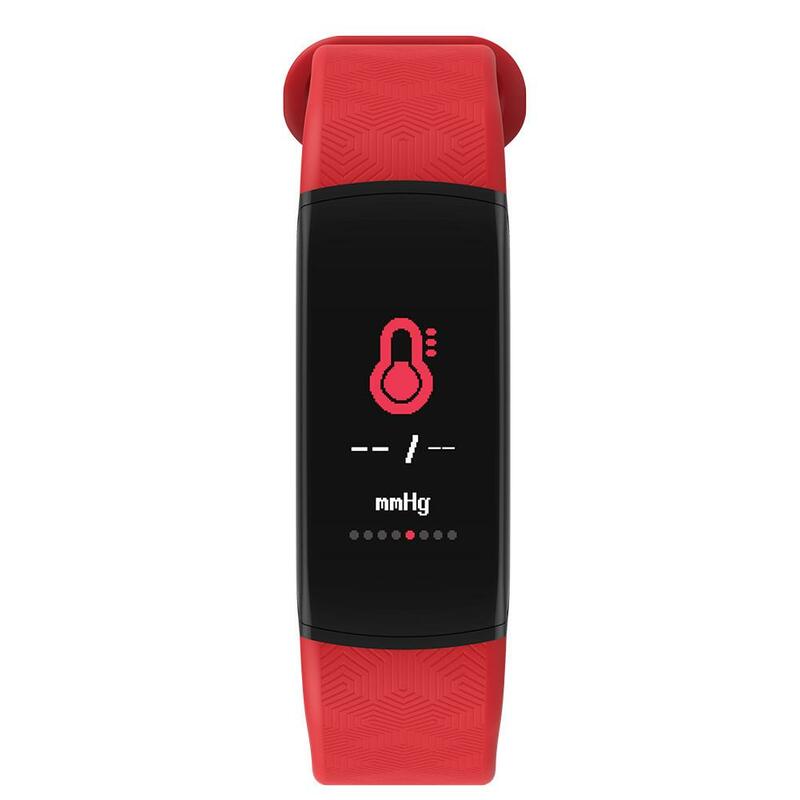 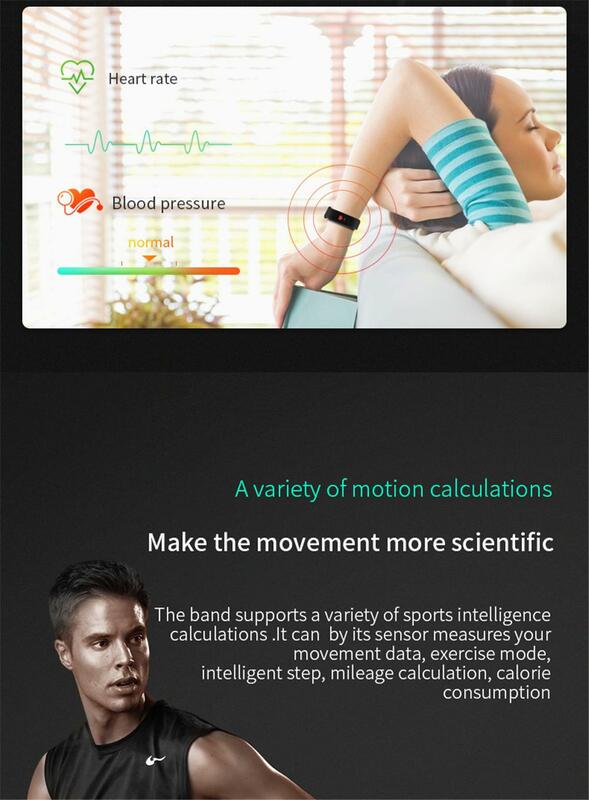 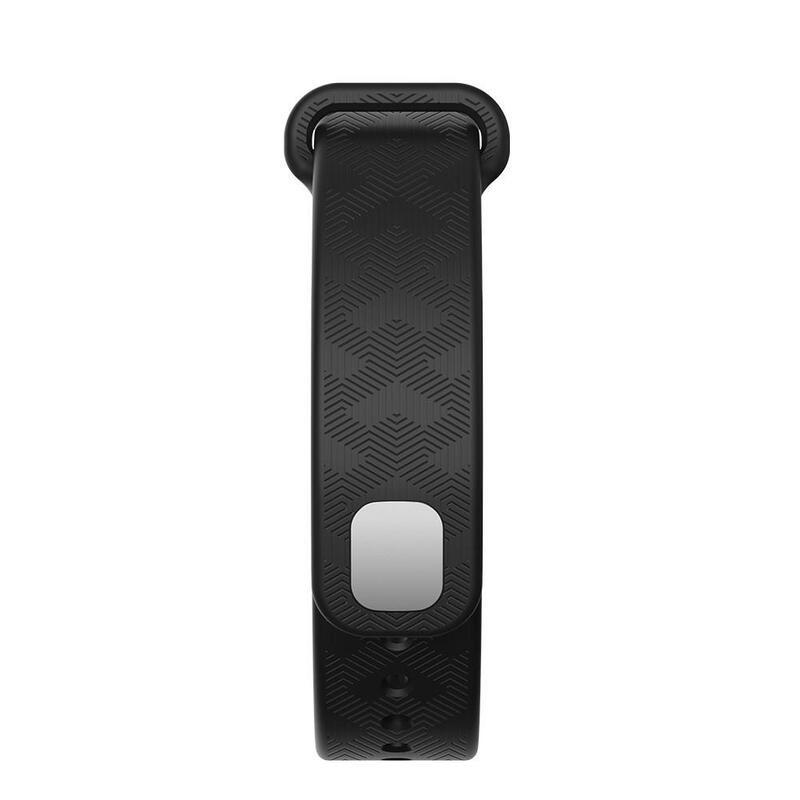 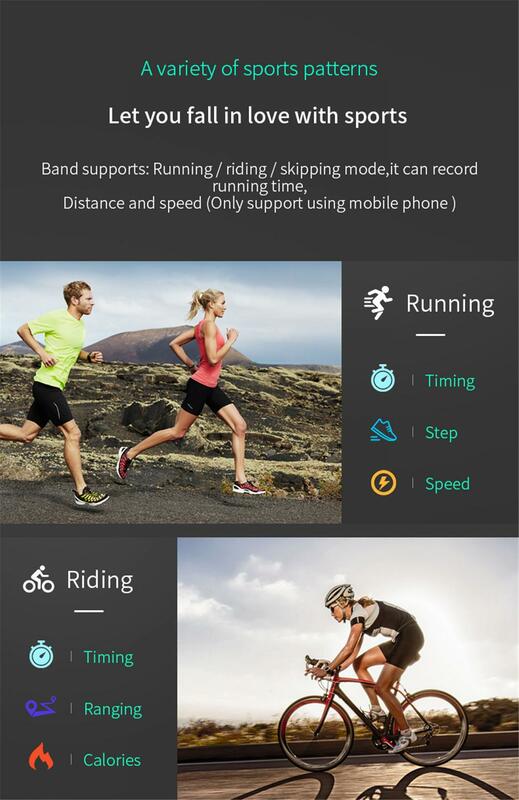 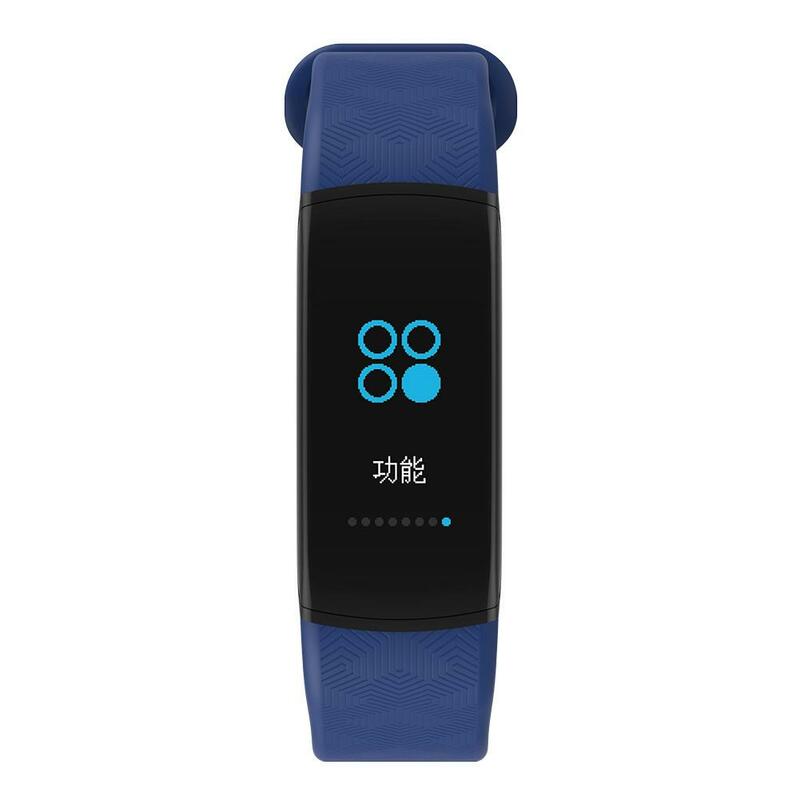 Sports Mode / Track: Supports running / riding / skipping mode, record running length, distance, pace. 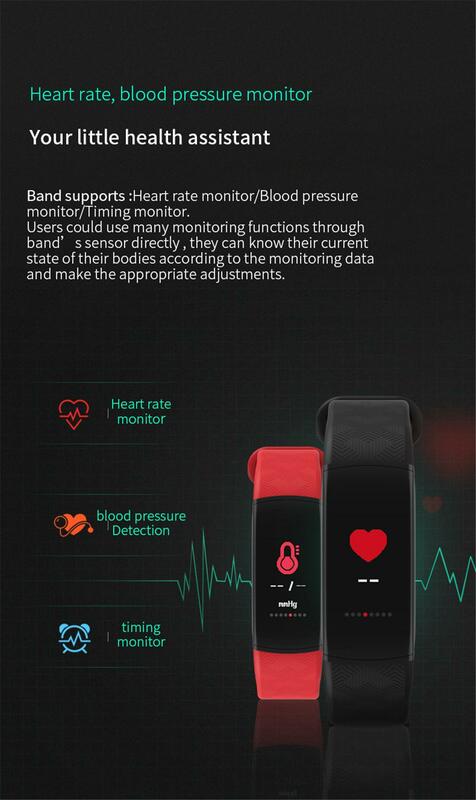 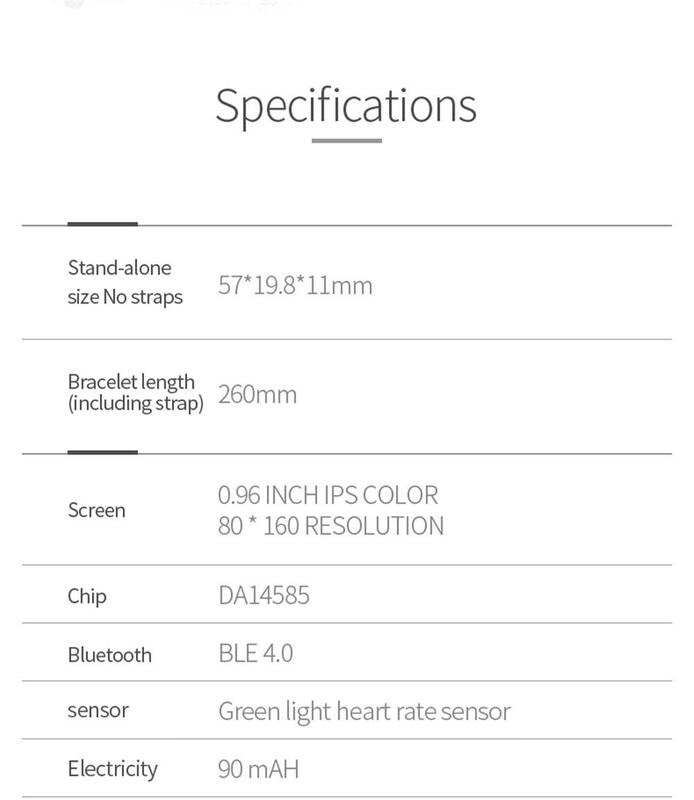 APP health measurement: Heart rate, blood pressure, measurement. 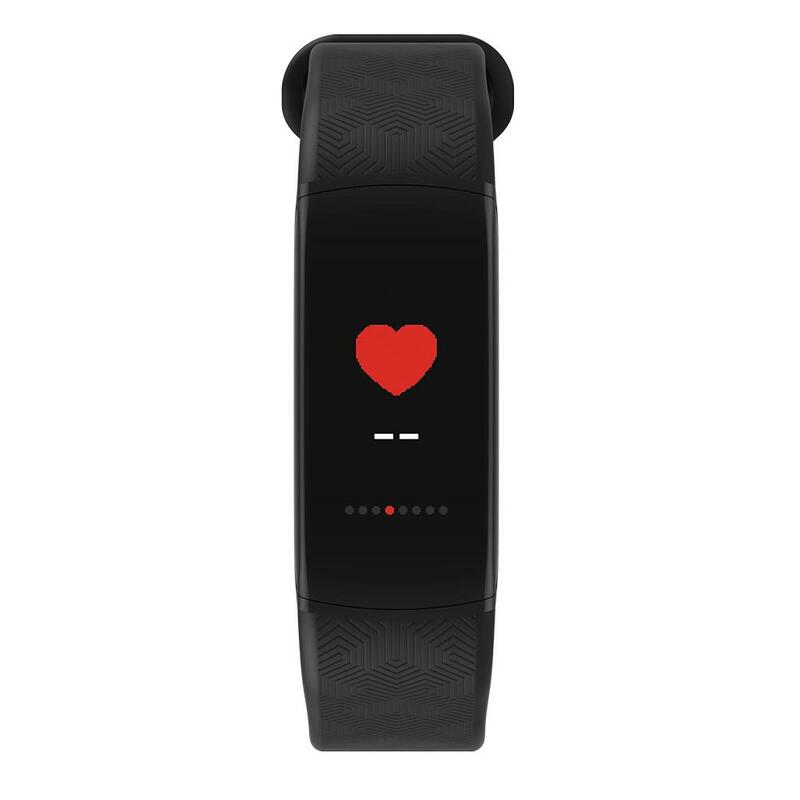 Regular heart rate monitoring, high heart rate alert. 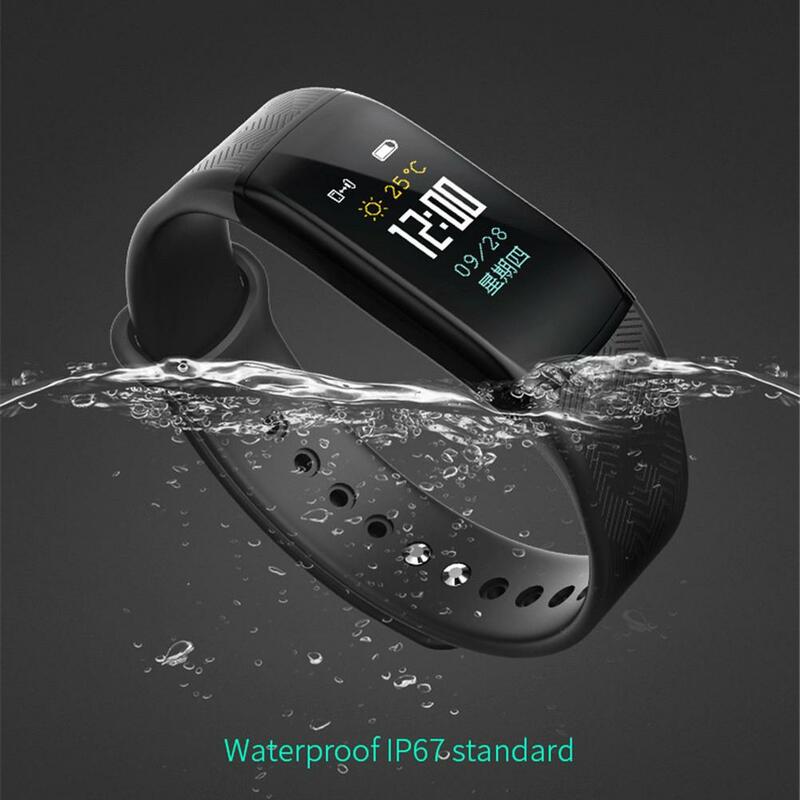 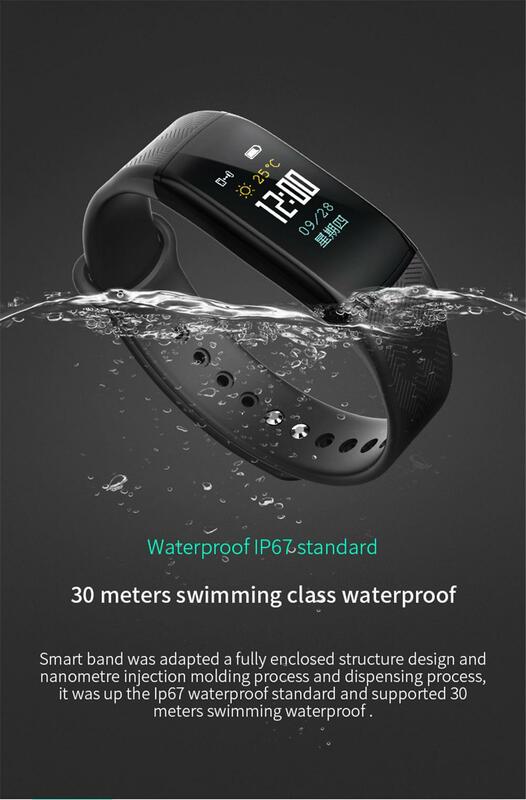 The waterproof level is IP67 waterproof, can be use to wash hands, 30 meters underwater, but do not into the hot water for a long time. 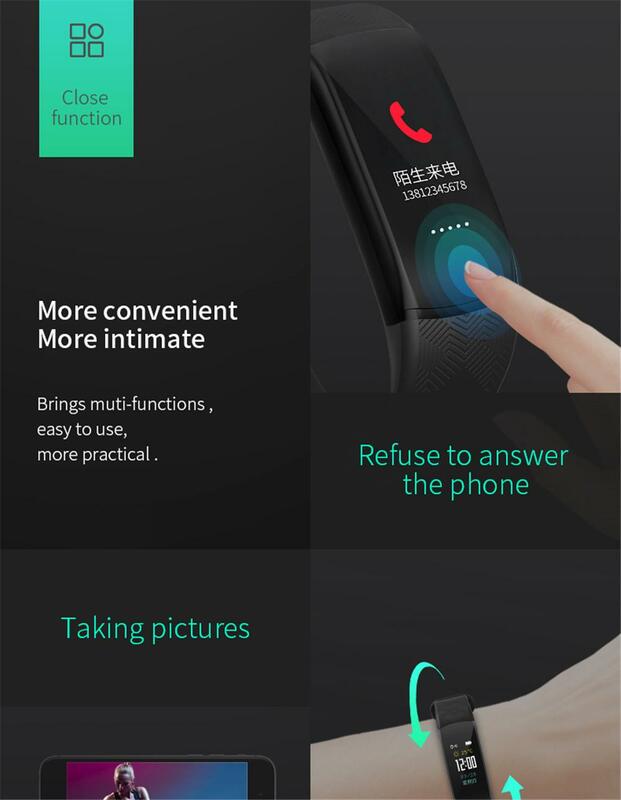 Other functions:Do not disturb the mode, raise your hand to brighten the screen, set the screen time, refuse to answer the phone, Apple Health, WeChat movement.